I’ve been saying in a few of my reviews lately that it’s November (well, now it’s December, but the principle’s the same), meaning that it’s that time of the year again, meaning it’s awards season, meaning that such a circumstance in some way determines what movies are being released and subsequently what movies I have been covering for my blog. Well, still I say it’s still that time of the year again, which means it’s award season, which means that a large number of movies from other countries are making their appearance in some way since both the Oscars and The Golden Globes have foreign language film categories, which means…well, here we are. I saw the films Wild Tales, Leviathan and Human Capital at AFI. They are all their respective countries (Argentina, Russia and Italy) entries in the foreign language film category. But before I begin, I would like to take a few paragraphs to grouse about people who grouse about how this particular Oscar category is handled. Generally, each country enters a film for the race for the gold statuette; only one movie per country is allowed. A select group of Academy members, a subset of the voters, see the movies and the entries are winnowed down to a smaller number. Once the five nominees are selected, then, like best picture, everyone is allowed to vote for the winning film. The objections that people have raised to this process are many. or they chose based on political reasons (China first submitted City of Life and Death, but then withdrew it, apparently because, as terrible as its portrayal was of the Japanese during WWII, it was still a little too sympathetic). Second is that a country often has more than one well respected movie and because of that, a worthy movie is automatically not allowed to be considered (this often happens to France; well, to be fair, on a per film basis, they are still making the best in the world). Third, that the voting bloc of the foreign language film category are a bit older and therefore conservative and therefore constantly overlook more challenging and controversial films (such as 4 Months, 3 Weeks, 2 Days). No changes have been made to the first two issues. 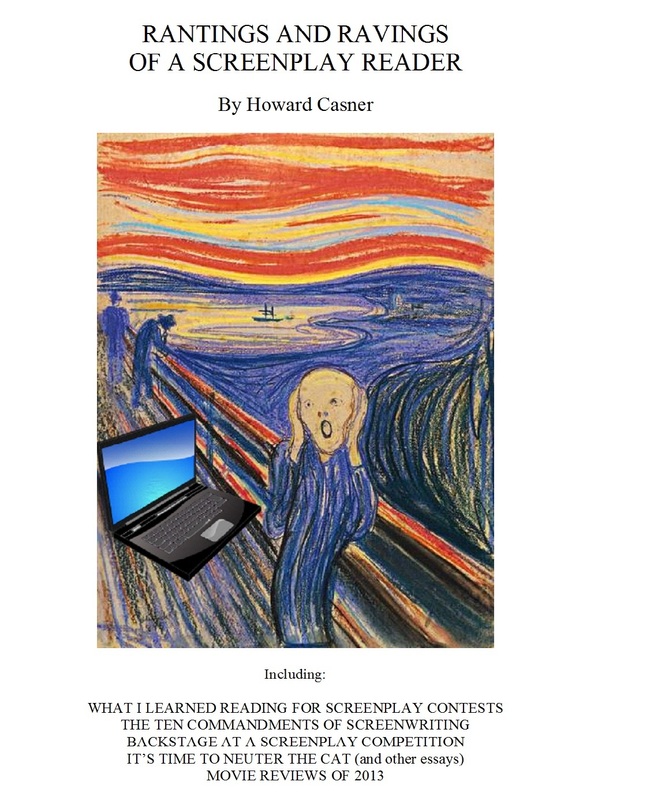 However, the Academy did agree that the third issue was valid and made some changes. A new process was initiated such that a subset of the subset of nominators are allowed to add a certain number of films to the finalist list. These films tend to be more edgy and controversial (such as Dogtooth). So for those of you who want reform to the first two issues and basically make it a free for all where any foreign language film from any country can be considered, even more than one from the same country, I have strong objections. First, even if we change it, you will not be satisfied. You will always get upset and shout out j’accuse because some film you thought was worthy of consideration will be left out. That doesn’t mean that changes should not be made. But they shouldn’t be made so that someone’s particular choices get…chosen. They should only be made to make the process fairer, even if your fave film still gets left out. Second, this would mean that only films that have enough money behind them to mount some sort of campaign will make the grade. Smaller films from producers that don’t have the cold hard cash for marketing and/or can’t find an American distributor will be left out. Third, I can almost guarantee what the final makeup of the category will be: three to four films from Europe (with possibly two from France) and the last one or two coming from Japan, China, Russia, the larger countries of the Middle East, Brazil and Argentina. Films from smaller and less popular countries with less well known filmmakers will be constantly overlooked (like Nepal, Ivory Coast, and Palestine). And you know what will happen as a result: You will start grousing about how unfair the nominating process is. We’ll be back at square one. Finally, the Academy Awards are about the only awards in the world that allow for foreign films to be nominated in any category as long as they play in the U.S. for one week in L.A. or New York before the end of the year. I don’t believe you’ll find any foreign language films nominated for, say, the Cesars or David di Donatello awards (in fact, The Best Offer received thirteen Donatello nominations, and won six, but received no nominations for acting, all of the major roles being played by non-Italians). So, yes, the list of nominees in this category may often disappoint. But I maintain the system is better than any other. At any rate, on to reviews of Wild Tales, Human Capital and Leviathan. 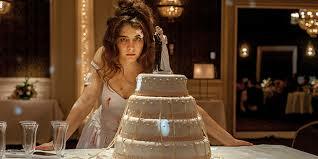 Yes, what to say about Wild Tales. Okay, I’m not sure what it is, but I do have this to say about it. I mean it. If you see only one movie this year, see this one. Look, I’m not playing with you here. I’m not jerking your chain, pulling your pud or choking your chicken. I’m not even giving you a choice. You will see this movie. Have I told you yet that you have to see this movie? Well, if I haven’t, you have to see this movie. Okay, I might have gone a little far on that last little bit (though it does happen), but basically Wild Tales is a portmanteau film in which something pretty wild happens in each segment. A wedding that goes wrong like no other wedding has gone wrong in the whole history of weddings gone wrong after the bride realizes her new husband has cheated on her. I will admit that there are some petty details here and there that could be improved. The one with the waitress doesn’t have all that satisfactory a resolution. And the one where a family searches for a scapegoat perhaps ends maybe thirty seconds too soon. But who cares. I mean, who really cares. Usually when you have a portmanteau film not only are some segments better than others, you usually come away only talking about one, maybe two of them. But Wild Tales has a surprisingly high number of quality segments. Like maybe if not six out of six, then at least five out of six. That’s a pretty good ratio as far as I’m concerned. And this is one fun film that should, I say once again, not be missed. With a huge cast of uniformly fine performances. Perhaps the actor most recognizable over here is Ricardo Alberto Darín, the star of The Secret in Their Eyes, which won best foreign language film at the Academy Awards in 2010, and Carnacho, which was submitted the following year, but not chosen. It is said revenge is a dish best served cold. In this case, I wouldn’t wait so long. Dig in before it even cools. According to the dictionary, a “leviathan” (the title of the new Russian film) is a large sea monster that is talked about by God in the Book of Job in the Bible, a huge beast, more deadly than a whale, and that cannot be overpowered by any mere mortal. This is, in many ways, an apt title, not just because of the plot of the story, in which a man has to face down the huge monster of the new Russian capitalists that are being supported by the Orthodox Church, but because the film itself is large and heavy with an overwhelming sense of doom. The basic plot concerns property owner Nikolai, whose land is wanted by the mayor of the town for his own personal use. Nikolai’s fought the imminent domain takeover for a long time, but the court, country and church are all against him. He asks an old army friend, Dimitri, who is now a lawyer, to help him. Dimitri has friends in high places who have given him dirt on the mayor which they plan to use for leverage. But in the end, Nikolai ends up far worse off than he was in the beginning. The book of Job itself is mentioned here and there in the story. And there is something of Nikolai’s slow loss of everything he loves and owns that does make one think of the man who become the subject of a bet between the All Mighty and The Devil. At the same time, the reference never quite felt comfortable to me. Though it is true that Nikolai is more sinned against than sinning, he is also anything but the righteous man that Job was supposed to have been. But at another moment, a priest talks to Nikolai about Job and says that in the end, God appears to man from Uz and tells him why he is being so tormented. But in the Bible God doesn’t do that. In fact, God basically says, not only will I not explain anything to you, I don’t have to because I’m God, the one who created the world and can catch a leviathan and turn it into a pet. Which seems a more accurate response to what is happening to Nikolai than the priest’s. At the same time, there is much to admire in this huge mammoth of a movie. It is beautifully shot in a downbeat epic way. The landscapes are often breathtaking and everything is overcast with a patina of tragedy. And Aleksey Serebryakov gives a strong and empathetic performance in the central role. One does become emotionally involved in Nikolai’s predicament. His frustration is often very palpable. All of us have been in a situation where we were in the right, but it didn’t matter. The forces against us were just too formidable for us to do anything but just submit. Against him is Roman Madyanov (seen over here in 12, a Russian adaptation of 12 Angry Men), with an intense performance as the mayor, a Sydney Greenstreet of a corrupt politician, hypocrisy oozing from his pores, corpulent and crapulent. But the structure gets a little wobbly in act two as the focus of the story switches from Nikolai and the plot becomes driven by the lawyer Dimitri. I was no longer certain who the central character was for awhile and I felt a bit adrift and wasn’t sure where the story was going. This segment also climaxes with a couple of clichés and a plot turn that I didn’t understand. Dimitri claims to have friends in high places who gave him the dirt on the mayor (and it seems to be true dirt, the mayor feels very threatened by it). The mayor abducts the lawyer (or the lawyer allows himself to be abducted in one of the biggest clichés in movie history) and almost kills him. The lawyer flees town which made me think: but I thought he had friends in high places? And I thought he had dirt on the mayor that was real, true dirt? And Dimitri’s actions just didn’t seem consistent with the character that was first introduced. He seemed more a construct of the writer and director than a real character in his own right. But once he leaves, the story goes back to Nikolai. And it ends in the only way such a confrontation could. Though not the way the Biblical story does. The movie was written by Oleg Negin and the director Andrey Zvyagintsev, both of whom gave us the very effective Elena. Zvyagintsev is perhaps first known over here for his movie The Return. 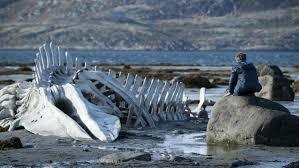 What may be most surprising is that Leviathan was chosen by Russia to represent it at the Oscars. It’s a vicious and unapologetic attack on the new more authoritative government, the ruthless rise of Capitalism and the hypocrisy of the church. One might wonder why Putin would want his country’s dirty linen washed in public, but there you have it. The story is inspired by an event in Colorado in which a man, Marvin Heemeyer, went on a rampage with a bulldozer over losing a zoning dispute. The more I read of Heemeyer’s story, the less I see the resemblance in the two stories. At the beginning of Human Capital, the new Italian mystery, a waiter leaves a catered event on his bicycle and on a dark road is sideswiped by a car and left for dead. The question then becomes, who dunnit? Fortunately for the authors, by Francesco Bruni, Francesco Piccolo and the director Paoli Virzi, the culprit is tied to someone or someones who attended the event. Human Capital is a stylish and fun little thriller. And also rather clever. It is stylish and fun, and also rather clever, because the story is told three different times from the viewpoint of three different characters, both what happened that night as well as a series of events leading up to the final hit and run, with certain scenes being redramatized to reflect the new central characters perspective. The three points of view are: a middle class small business owner who hopes to make a fortune by investing with a financier in a mysterious business deal that depends on the economy of Italy failing; the wife of the financier who wants to renovate a legendary theater now in serious disrepair; and the daughter of the small business owner who once dated the financier’s son, but has broken up with him to date someone closer to her status. But though Human Capital is stylish and fun…and also rather clever, I’m not really sure it is much more than that. I do think it tries to be. There is a lot of criticism of greed, of art v. commerce, of the idea that the financier is banking on the economy of Italy to fail to make a fortune, as well as a whiff of class warfare in the romance department. And at the end, we get the definition of Human Capital presented to us on the screen. It’s an insurance term that refers to the monetary value that is put on human life (the definition is a bit more nuanced in reality). The problem is that I don’t remember the cyclist ever being treated as no more than human capital by anybody. Nobody in the movie ever really had a chance to. And if anyone did, it is the filmmakers who totally ignore his character and his part in the story. So I’m not really sure what the point of the movie is and probably would have been more effective the less everybody involved tried to make more of it than there is. With wispy voiced Valeria Bruni Tedeschi (of Saint Laurent, Munich and 5X2) touching as the financier’s wife and smarmy smiling Fabrizio Gifuni (of The Best of Youth) as the financier. Bruni, Piccolo and Virzi were also responsible for the quirky and very moving The First Beautiful Thing. As so often in European thrillers, the source material is by an American author, Stephen Amidon. could Wild Tales get a best original screenplay nomination? did it had a qualifying run to allow that? I’m wondering. I saw it at AFI where tickets are free. At the exact same time, it was playing at a movie theater, The Landmark for one week. I assume it did so in order to qualify for the Oscars (not foreign language film because it doesn’t have to play a week to qualify for that, just be submitted by the country). And I think it’s best chance to get a nomination is in original screenplay, so it depends on whether they can get the member of the writers’ branch to see it. I would love to see it do so. I would love to see that too, it could help to put it in the spotlight so it gets the praise it deserves. Thanks for replying.